Portugal is a country blessed with excellent sandy beaches, rugged coastline, cosmopolitan and architecturally-stunning cities, and incredible weather. Throw in great food, lots of wine, and cheap prices, and it makes for a perfect holiday spot. When I first visited Portugal, I fell absolutely in love. The food. The people. The culture. The inexpensiveness! Backpacking Portugal was like a dream. I’ve been to Portugal many times and I never tire of it. It is one of the most underrated countries in the world. Because it’s on the tip of Europe and isn’t as centrally-connected as other countries not a lot of people visit Portugal. 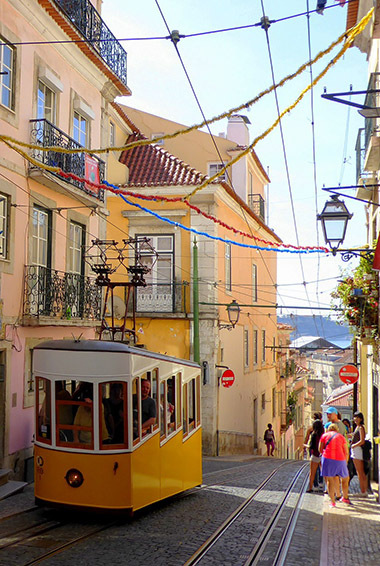 Sure, Lisbon has become a hub for digital nomads, expats, and retirees thanks to its low cost of living. But, in the rest of the country, not much has changed. And fewer crowds means a better, more local experience for you. 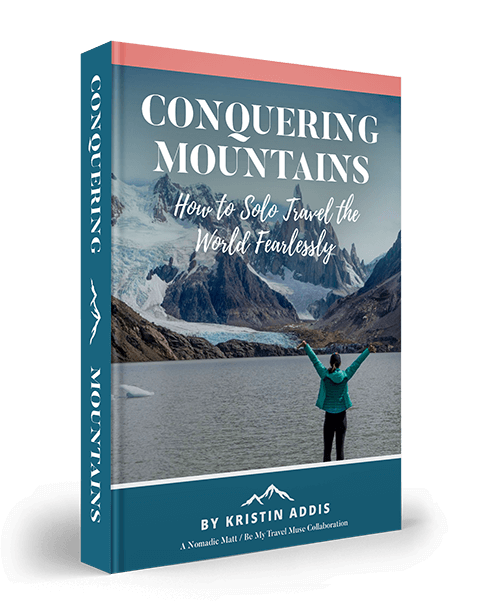 This Portugal travel guide can help you plan a trip that you’ll remember for a lifetime! Be sure to have an extra glass of port for me though! Portugal’s capital is a gem of a city. I instantly fell in love with it. It has mystique, history, beautiful and friendly locals, and great food. Take a trip to the Castle of St Jorge. Explore the churches. Listen to Fado. Eat the food. Enjoy life. The first time I visited, I came for two days and spent a week. Batalha is one of Europe’s greatest Gothic masterpieces. Walk through the gigantic and impressive gothic doorway and see the interior featuring 16th-century stained-glass windows. The building has seven chapels that are unfinished. These islands lie about 930 miles from Lisbon (a two-hour flight) in the Atlantic Ocean. Each of the islands offer a slow-paced way of life, unique wildlife, and stunning beaches. These islands are very off the beaten track and a good “out of the way” place to go. Lagos is the place people go to party rather than see historic sites or sit in pretty squares. It is an excellent place to soak up the sun and then go out for dinner a drink. During the summer months, this is one of Europe’s premier party destinations with young travelers. 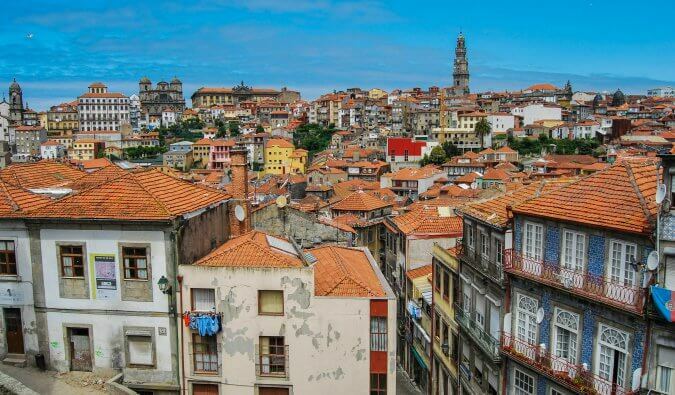 Porto is one of Portugal’s most colorful cities, where getting lost and meandering the narrow alleyways and steep staircases all leading to the Douro River makes for a fun afternoon. Hop on a river cruise, visit the Lello & Irmão bookstore, see a museum, or visit the surrounding Duoro Valley and its many vineyards. Another one of Portugal’s World Heritage sites is Evora, a small town that offers an array of beautiful and historic buildings. Its most famous landmark is the Temple of Diana but there is also the Praça do Giraldo, the town’s main square. This is small-town Portugal at its best. The beautiful city of Braga provides many Baroque monuments, including one of the country’s best-known sights, the Bom Jesus Sanctuary. The old and the new city are connected by the main square, Praça da Republica. The city’s cathedral is also very much worth a visit, as it is the country’s oldest! The Abbey of Santa Maria is Europe’s largest building of the Cistercian order. You can wander around the abbey at your leisure and find out more about the different parts of the building: its five cloisters, seven dormitories, a library, and huge kitchen. The church is free to enter but the monastery costs 6 EUR. You can save money by purchasing a combo ticket to Tomar and Batalha for 15 EUR. It’s open daily 9am-5pm and is open 30 minutes longer in the winter. Lord Byron, writing in the 18th century, said that the town was “perhaps in every respect the most delightful in Europe.” If you are visiting Lisbon you should definitely make an effort to come here with its palaces, wonderful views, and museum collections. The train takes about 40 minutes and costs 2-4 EUR. The big attraction in the town of Tomar is the Templar Castle and Convent of Christ on the hill. It was the headquarters for the Knights Templar in the 12th century and contains one of the country’s most impressive monuments, the Convent of Christ. 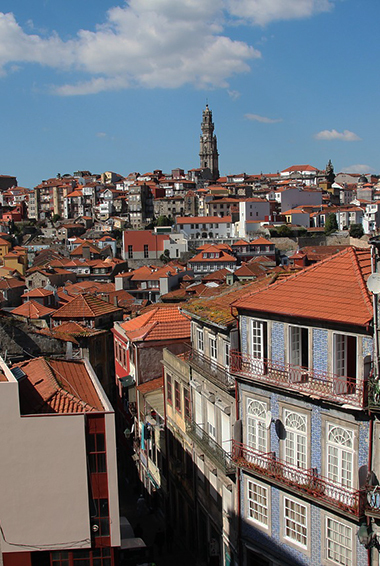 Aveiro, around 45 miles south of Porto, lies on what’s known as the silver coast. This is a small university town, and part of the historic center is built on canals, giving rise to the name “the Venice of Portugal.” The winds here create good opportunities for windsurfing and surfing. 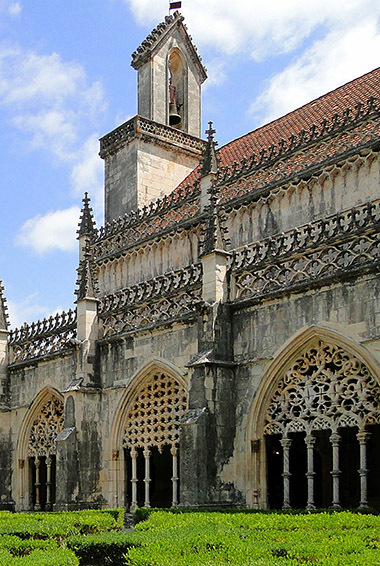 Another university city, Coimbra is home to the world’s ninth-oldest campus. There is a famous, beautiful old library that you can tour, but the real thing to do in Coimbra is just to wander through the many old streets. There are many churches and gardens to visit. Tuesdays and Thursdays are the student party nights here. Whether in Lisbon or somewhere else, you shouldn’t leave Portugal without getting a sense of the country’s musical culture. Fado is a very important Portuguese tradition, with at least 200 years of history. It’s very haunting and emotional music, sung by an individual. Most of the songs follow a theme of loss and mourning. Performances normally take place in restaurants during dinner. 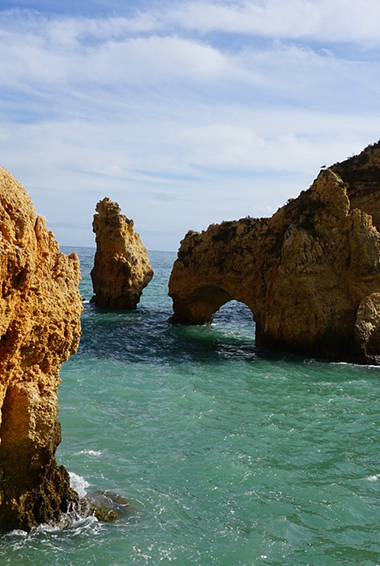 Faro is a common starting point for tours of the Algarve region, which is an area full of great beaches, seafood, and plenty of tourists. Faro itself isn’t a beach city, but has a lovely old town and is a great place to spend a day before you hit the real resort areas. Cape Sagres is the most southwestern point on the European continent. It was here that Henry the Navigator had his famous navigation school, which gave birth to the careers of some of the most famous explorers in history. This pastry is a Portuguese staple and you’ll find these delicious custard-filled tarts at any bakery. They’re a must for an authentic food experience. Accommodation – Overall, you’ll find accommodation very affordable in Portugal, especially if you are staying in hostels. Most dorm rooms average 10 EUR (12 USD) per night. Private rooms at hostels cost around 40 EUR (45 USD) in a hostel. 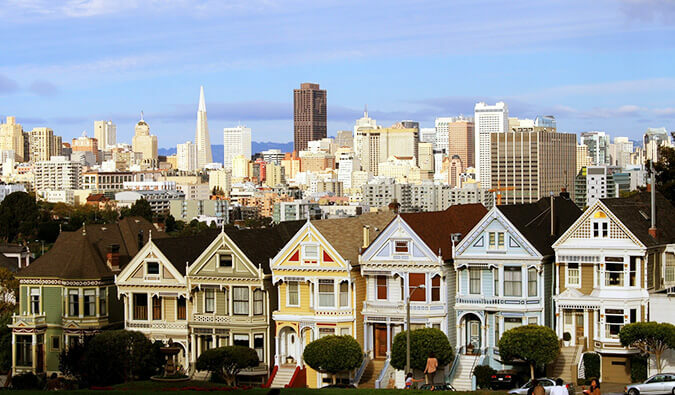 A double room in a hotel begins at 35 EUR (40 USD) for a cheap, 2-star hotel. Shared rooms through Airbnb cost around 15 EUR (17 USD) per night, while entire homes average about 40 EUR (45 USD) per night. You also could couchsurf or stay at a pensão (family-run inns) to save money. Food – You can find snacks in bakeries for around 2 EUR (3 USD), light meals and sandwiches for around 7 EUR (8 USD), and fast food for around the same price. If you want sit-down meal with drinks, you’re looking at spending closer to around 18-20 EUR (20-25 USD) per meal. After that, the sky is the limit. However, you can find some great bargains. I once had a full meal with wine for 13 EUR (15 USD)! If you’re cooking, groceries will cost around 30-35 EUR (35-40 USD) for a week’s worth of food that includes items like pasta, vegetables, chicken, and other basic food stuffs. Activities – Activities aren’t that expensive in Portugal. Museums and UNESCO sites charge between 6-11 EUR (7-13 USD) entrance fees. Wine tours are about 50 EUR (55 USD) for a whole day tour. Most museums are closed on Mondays and have shorter hours in the winter. If you want to backpack around Portugal, my suggested budget is between 35-45 EUR ($40-50 USD) per day. 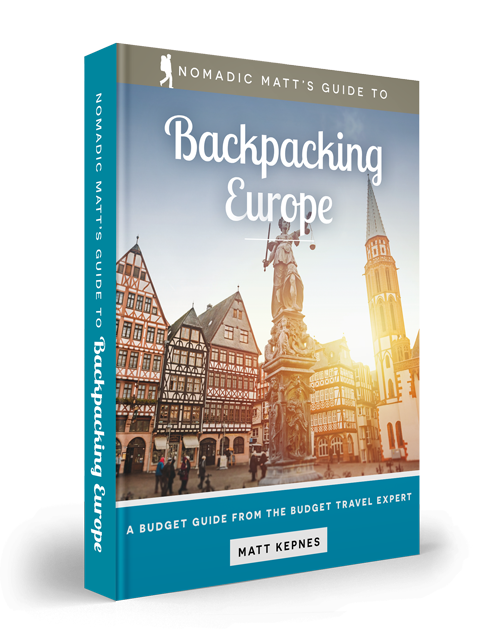 On this budget, you’ll be staying in hostel dorms, cooking most of your own food (or occasionally eating out), minimizing your partying, and traveling on local transit. On a mid-range budget of 55-60 EUR ($60-70 USD) per day, you can stay in budget hotels or a hostel private room, eat at affordable sit-down restaurants, visit more attractions, and drink a lot more port. On a luxury budget of around 90 EUR ($100 USD) per day or more, the sky is the limit with nice hotels, eating out all the time, visiting anything you want, flying around the country, and taking any tour you want! You can use the chart below to get some idea of how much you need to budget daily in Portugal. Free museum visits – Most museums are free on Sundays. Skip the taxis – Taxis are super expensive in Portugal, often adding fees for luggage and airport pick ups. Simply use the metro or bus system to go where you need to. Say “no” to bread – When eating out, a selection of bread and olives will be brought to your table before your meal. These aren’t free, so just say no! Stay at a pensão – These family-run inns offer excellent lodgings for very little money and are a great alternative to hotels. 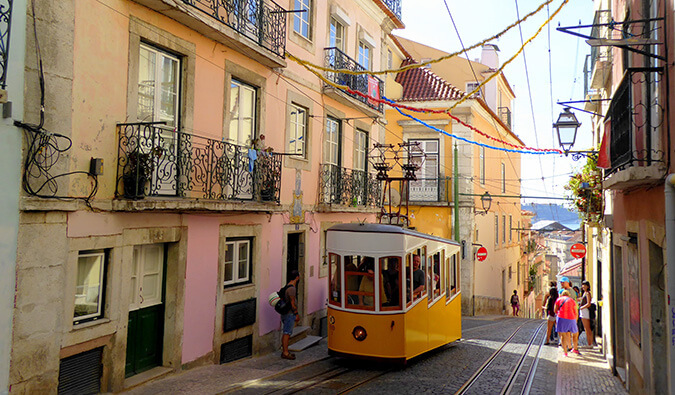 Public Transportation – The larger cities like Porto and Lisbon have great public transit options, including trains, trams, and buses. Tickets start around 1.50 EUR (1.70 USD). In smaller communities, people generally use the public bus, and fares are about the same. Taxis are affordable for short distances, and are metered. Fares start at 3.25 EUR (4 USD) plus about 1 EUR (less than 2 USD) per kilometer. A taxi trip shouldn’t cost you more than 12 EUR (14 USD)! Locals like to get around by bike, and bike rentals are available in all the major cities. You can rent a basic one for 15 EUR (17 USD) per day. On the islands like the Azores, there are public buses between most major towns but they’re unreliable and rarely on schedule. While this is your cheapest option, most people rent a car since it’s more convenient. Rates start at around 42 EUR per day. Trains – Portugal has a great rail system. Ticket prices are affordable, costing usually about 20-40 EUR (23-45 USD) to go from Porto to Lisbon. Even the high-speed rail is affordable, unlike other European countries – it’s about the same price between Porto and Lisbon as the regular train. A train trip between Braga (in the far north) to Faro (at the southern tip) will cost about 40-50 EUR (45-55 USD) for both high-speed and regular rail options. Lisbon is the main spot for Flixbus routes. It’s the best line to take you out of Portugal and into the rest of Europe. To head into Spain, a bus or train to Madrid costs around 50 EUR (55 USD). 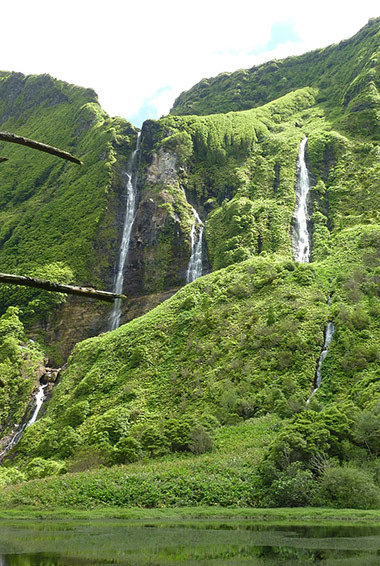 Budget Airlines – Flying is also the best way to get to the islands, like the Azores and Madeira Island. A flight from Lisbon to the Azores costs as little as 30 EUR (35 USD), while Lisbon to Madeira Island starts at about 35 EUR (40 USD). TAP Air is Portugal’s official airline, but other budget airlines like Ryanair and EasyJet also service Portugal. Ferries – You can ferry between the Portugal mainland and the islands as well. The Porto Santo Line services Madeira Island while Atlânticoline services the Azores islands. You can find routes for as little as 20 EUR (22 USD), while other popular routes like Funchal in the Madeira Islands to Porto Santo Island starts around 35 EUR (40 USD). Peak season in Portugal is during the summer months of June – August, where temperatures are around 33ºC (92ºF), and popular destinations like Porto and Lisbon experience a huge influx of visitors. Prices increase during this time as well. But the overall atmosphere and weather is great, so it’s still worth visiting during peak season. However, I think the best time to visit Portugal is shoulder season in the spring and fall (March to May and September to October, respectively). It’s still warm during this time but there aren’t as many crowds and prices are cheaper. It’s also easier to meet locals! Winter is from November to February. It gets cold, and tourist crowds have thinned out considerably. Temperatures vary quite a bit from place to place, but overall the temperature averages around 17 °C (53 °F). Portugal is very safe for backpacking and solo travel. Violent attacks are uncommon. Petty crime is about the worst that will happen to you. Pickpocketing is the most common crime. Be aware of your surroundings when you’re in markets, on busy streets, or when using the metro. 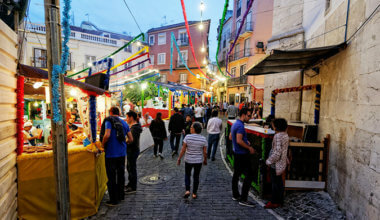 You won’t find a lot of travel scams in the country but read this article on 14 major travel scams to avoid right here while you’re in Portugal. Remember: always trust your gut instinct. If a taxi driver seems shady, stop the cab and get out. If your hotel is seedier than you thought, get out of there. You have every right to remove yourself from the situation. Make copies of your personal documents, including your passport and ID. Forward your itinerary along to loved ones so they’ll know where you are. If you wouldn’t do it at home, don’t do it in Portugal! These are my favorite companies to use when I travel to Portugal. They are included here because they consistently find deals, offer world-class customer service and great value, and overall, are better than their competitors. They are the ones I use the most and are always the starting points in my search for travel deals. Intrepid Travel – If you want to do a group tour around Europe, go with Intrepid Travel. They offer good small group tours that use local operators and leave a small environmental footprint. If you go on a tour with anyone, go with them. And, as a reader of this site, you’ll get exclusive discounts when you click the link! 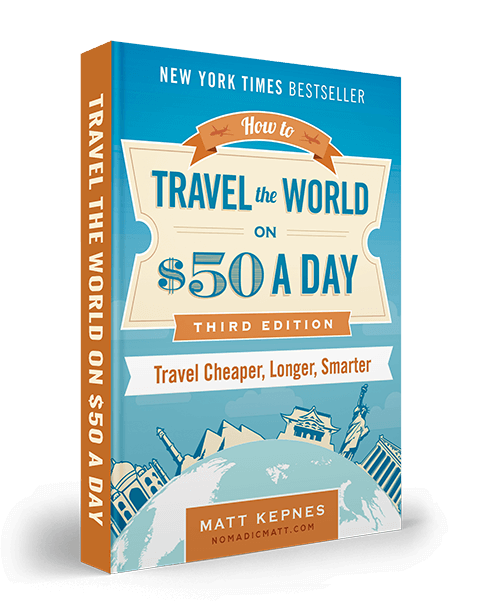 Vayable – I enjoy this site because it allows you to experience niche, offbeat, and interesting tours that bigger tour companies might not run. Plus, the groups tend to be very small, making for a more intimate experience. Context Tours – One of my favorite walking tour companies, Context offers in-depth history, food, and cultural tours through cities in the world, with a speciality in Europe. This company gets experts to lead tours (i.e. a chef to lead a food tour). 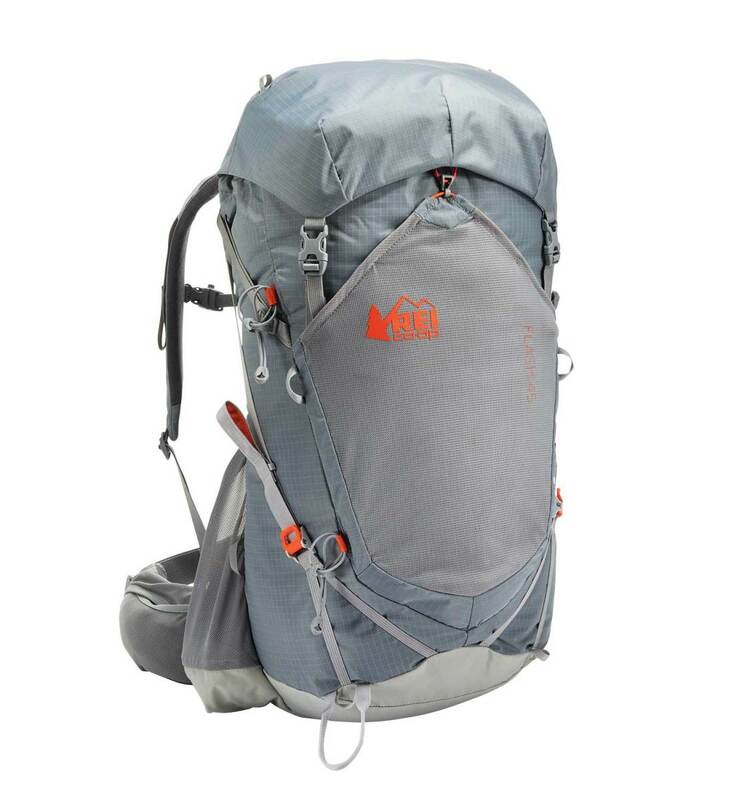 I recommend the REI Flash 45 Pack as the best backpack for Portugal travel. 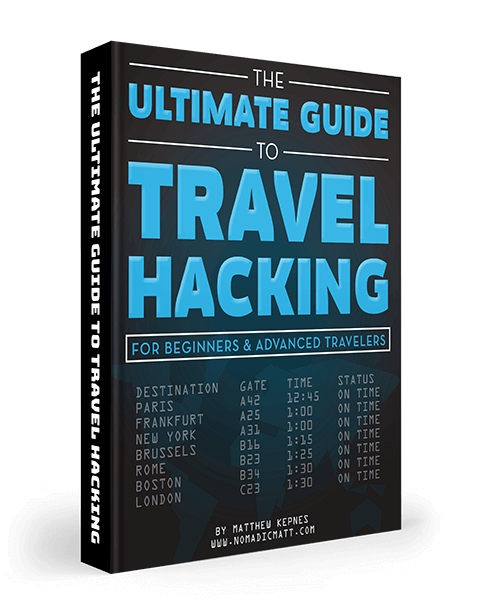 It’s light and comfy, front loading, and fits perfectly in an airplane’s overhead bin. If you want something different, refer to my article on how to choose the best travel backpack for more tips, suggestions, and advice. It’s 1904, and a young man named Tomás has discovered an old journal. It hints at an extraordinary artifact that could redefine history. Hopping aboard one of Europe’s earliest automobiles, he goes in search of this new treasure. Thirty-five years later, a Portuguese pathologist also finds himself in the middle of his own mystery – and the consequences of Tomás’s mission. 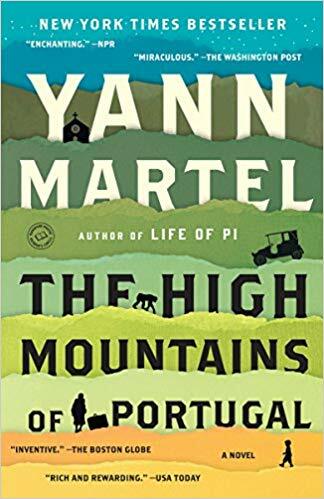 Fifty years after that, a Canadian senator returns to his ancestral village in Northern Portugal where the century-old quest comes to its conclusion. This is a masterful story that reads like a fable but will keep you hooked the whole way through. 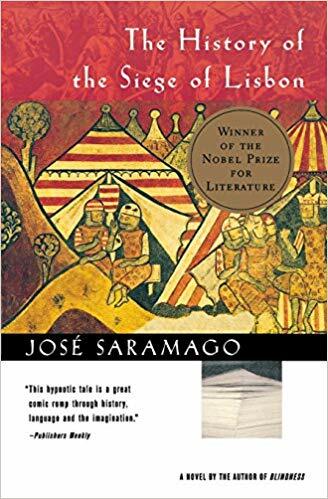 Jose Saramago is such a literary icon in Portugal that when he died in 2010, the country initiated two days of mourning. It’d be wrong to not include him in a list of books about Portugal! Here, a proofreader’s deliberate slip changes one singular word in the history of the siege of Lisbon – and thus rewrites the course of history with the 1147 Siege of Lisbon (as well as the proofreader’s own life). It’s a genius story about the differences between historiography and historical fiction, and what happens when you insert stories into the past. Fernando Pessoa was another prolific Portuguese writer, and when he died he left behind a full trunk of unfinished and unpublished writings. The Book of Disquiet is his posthumous masterpiece. 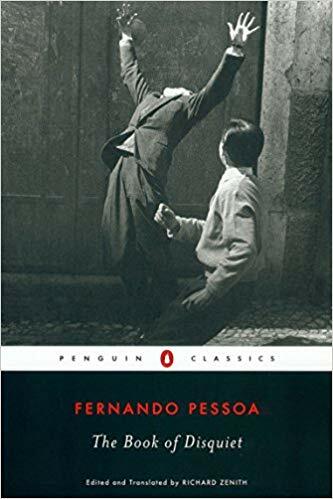 It’s a collection of short paragraphs making up the biography of Bernardo Soares, one of Pessoa’s “alternate selves.” It’s an intimate piece of descriptive narrative, and it’s considered one of the greatest works of the 20th century. 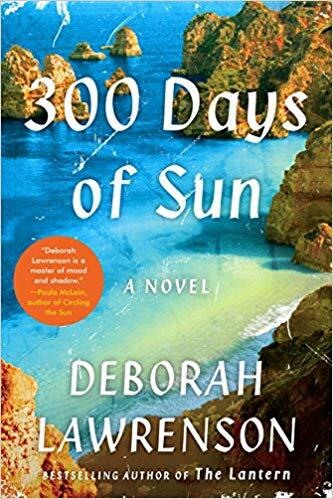 Set in a sunny Portuguese town, this book is about two women who are drawn into a game of truths and lies. Journalist Joanna Millard travels to Faro to escape her stalled career and directionless relationship, and it’s there she meets a charming young man named Nathan Emberlin. Over the course of getting to know Faro and its sometimes shady underbelly, Joanna learns that Nathan is determined to discover the truth about a child’s kidnapping from two decades before. The search leads her to a novel written by an American author – Esta Hartford – where Joanna discovers that fiction and reality are often not all that different. It’s a thrilling read!